(DrEddyClinic News) Dozens of students attending the University of Illinois Urbana-Champaign (UIUC) have come down with the mumps virus in what authorities believe could snowball into an all-out epidemic. But once again, the vast majority of afflicted students were already twice vaccinated for mumps (MMR) prior to catching the disease, upending government claims about this dangerous and useless vaccine. Reports indicate that some 69 cases of mumps have thus far been reported on the UIUC campus, and most of these, according to Illinois Department of Public Health (IDPH) Director Nirav Shah, occurred among students who had previously received two rounds of the combination vaccine for measles, mumps and rubella http://www.dreddyclinic.com/findinformation/rr/rubella.php. As you may recall, the efficacy of the mumps component of the MMR vaccine was called into question by two former Merck scientists who filed a False Claims Act complaint in 2010. They allege that the vaccine giant fabricated study data to promote this controversial vaccine as effective, when in reality it doesn't actually work as claimed http://www.dreddyclinic.com/forum/viewtopic.php?f=116&t=19539. The escalating mumps outbreak at UIUC further substantiates what these two fleshed out in their court filing -- that despite getting vaccinated for mumps with MMR, individuals are still getting sick. And yet IDPH's Shah believes the solution is to push more MMR vaccines on students to supposedly curb the disease's spread. He told the media that, even though the first two rounds of MMR apparently didn't work amongst the affected students at UIUC, they should still opt for a third round of the vaccine because it "could help control the outbreak," reports Fox News. Only in the twisted minds of vaccine pushers does it make sense to keep injecting a potentially life-threatening vaccine into people even after earlier jabs of the same vaccine definitively did not work. Shah claims that the MMR vaccine begins to work roughly two weeks after it's administered, but why, then, did all the vaccinated students still contract mumps? The answer is that the MMR vaccine doesn't prevent mumps, and may actually spread it. Each injection contains attenuated, or a weakened version of, live mumps virus. The Centers for Disease Control and Prevention (CDC) openly admits this on its website http://www.cdc.gov/vaccines/vpd-vac/measles/faqs-dis-vac-risks.htm, noting that the three viruses in MMR "grow" and cause infection after being injected. Once inside the body, these viruses have the potential to "shed" to others, including the unvaccinated and those with compromised immune systems. A mumps outbreak that occurred in the Netherlands, in which the genotype D mumps virus strain spread among contacts close to individuals recently vaccinated for MMR, was believed to have been triggered by MMR vaccine shedding http://www.ncbi.nlm.nih.gov/pubmed/21983359. As the head of IDPH, Shah should know this, or at least be aware of this particular study and others like it that suggest a causal link between vaccine shedding and disease outbreaks. But he never even mentioned it in the media, choosing instead to push the very vaccine that may have been responsible for triggering this outbreak in Illinois. 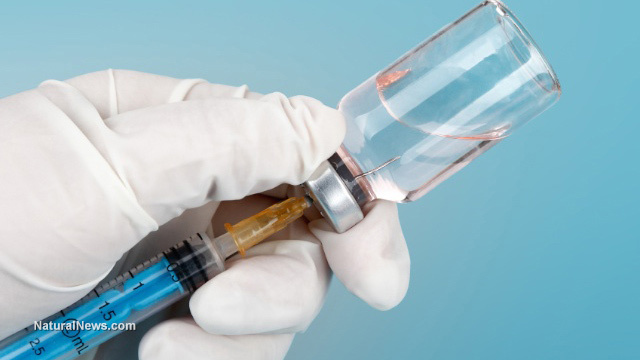 "In light of long standing, significant gaps in scientific knowledge about infectious microbes, the microbiome, epigenetics and the nature of human health, the long term safety and effectiveness of using live attenuated virus vaccines and genetically modified virus-vectored vaccines has not yet been established," explains a report by the National Vaccine Information Center (NVIC) http://www.nvic.org/CMSTemplates/NVIC/pdf/Live-Virus-Vaccines-and-Vaccine-Shedding.pdf. "Sometimes the weakened vaccine strain live virus can mutate and regain virulence, including neurovirulence, which significantly raises risks of serious complications from vaccine strain virus infection."